1. High reliability. 24h/7day advertising all the time and all weather conditions. 2. Low power consumption.12V DC input.Vehicle battery is enough to make the taxi top LED sign work. 3. High brightness. Using P5 SMD LED display module, luminance reach 3200nit plus. Our taxi top LED sign can be seen very clearly in the sunlight. 4. High resolution. Compared to the traditional taxi roof screen, screen resolution of ours reaches to 192px64p. 5. It can play a variety of media resources such as text, photos, animation, video and so on. 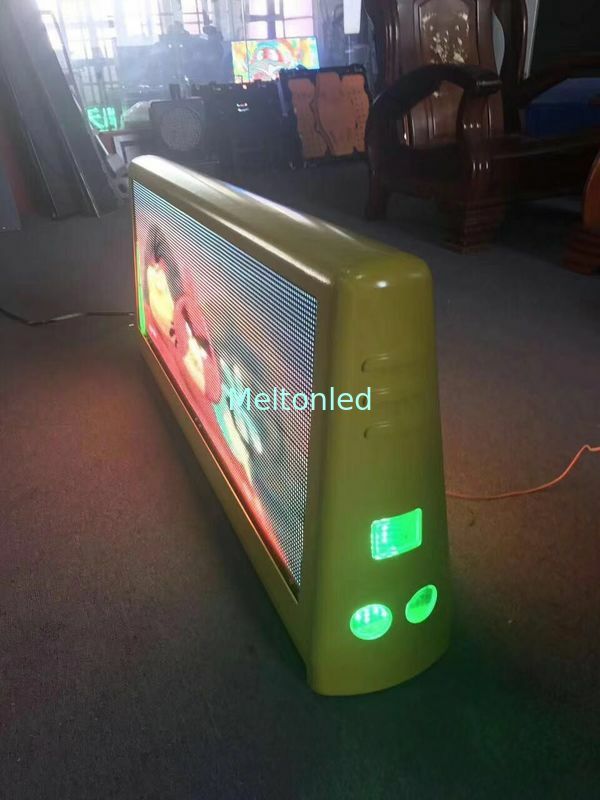 the Internet and open your browser, you can easily control the taxi top LED sign. 7. With GPS modules,the car can be tracked and located. 8. High quality acrylic cover keep the surface of the taxi top LED sign always clean.